Home sweet home! I'm back in NYC for the summer and apologies that I have been a bit quiet but being back in the city has been an adjustment since it's my first time really home after traveling over the past year. 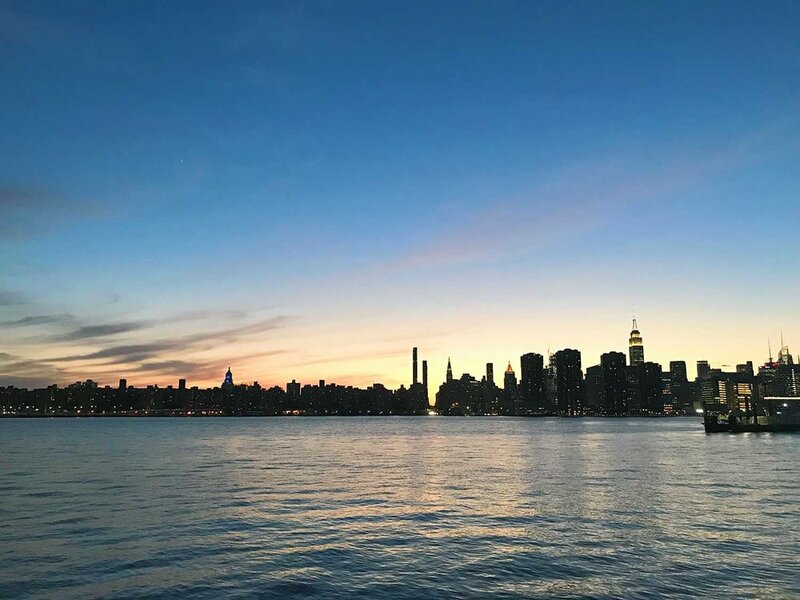 Figuring out my new way of life was quite the adventure and while tricky at first, New York is definitely one of the best cities to be a digital nomad in. There are endless amounts of resources to help you with anything you can think of and accommodate a more transient timeline which has been great for my 2 month stay in NY. Here are some helpful tips for your next trip here! I often travel with only 1 suitcase so my wardrobe is highly edited and I try not to add more to it but being in a city like NY, it's nice to dress up a bit more in the latest fashions. Rent the Runway has been great for this as it it's a clothing rental service with premium labels that you can rernt outfit by outfit (starting at $30) or via subscription. They have some intro discounts and if you use this promo link, you'll get $30 off your first order. I tested out their unlimited option with an intro special of $99/month which allows you to rent 4 pieces at a time. They have a pretty good selection of fashionable, trendy clothes and even had this beautiful Shoshanna Dunham dress I almost bought for a friend's wedding at Anthropologie which I will now just rent instead because let's be honest, once all those pictures go up on social, it just feels weird wearing it again. Am I right? I stayed all over the city before finally settling into my long term sublet so I needed something flexible with multiple locations. 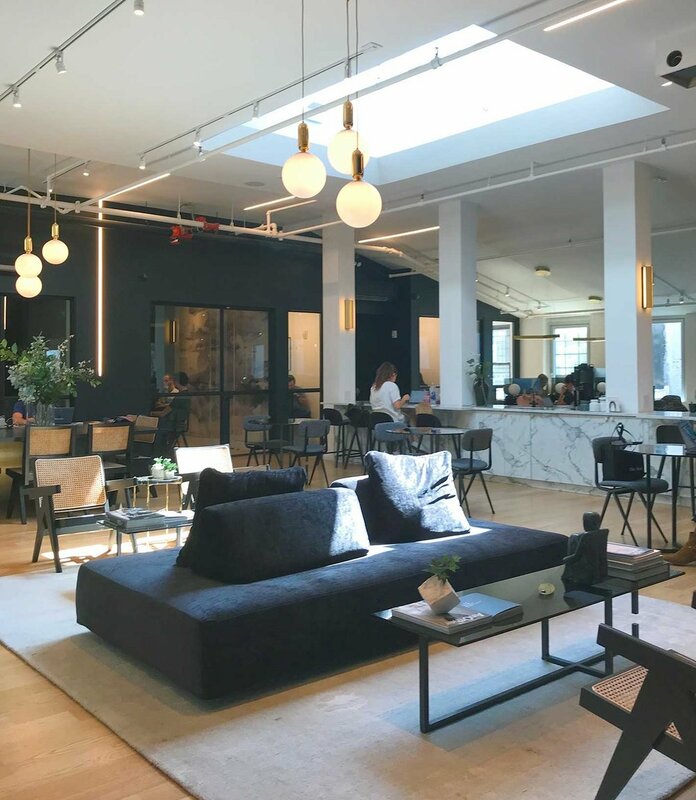 NY has endless options when it comes to co-working spaces so it's helpful to trial different locations and find your favorite one this way. Here are some of my favorite tools I used to find spaces. Deskpass is a very reasonable monthly membership-based service starting at $49/month that allows you to easily book a day at various co-working spaces throughout Manhattan and Northern Brooklyn. Some of my favorites that I worked out of are Work Better Park Ave South and The New Work Project in Williamsburg. It's also a handy service to accompany your regular co-working space if you have a dedicated desk/membership somewhere already as it's helpful to have somewhere to park yourself if you have meetings in different areas in the city. You can try Deskpass for 1 month free here. Coworker.com is my favorite site to find co-working spaces throughout the world. I often find free Day Passes on here to try out different spaces and then return to my favorite ones from there. Spacious partners with beautiful restaurant spaces throughout the city and converts them to beautiful co-working spaces throughout the day. They have a 1 week free trial available here as well. I ended up loving The New Work Project so much in Williamsburg that I became a Gallery Member there which provides me a dedicated desk and all access to events, etc. The space is absolutely gorgeous to work from and they have the best atmospheric music that plays throughout but not in a disturbingly loud way at all. They also have phone booths which is key for having both private and work calls. We all know New York can be wildly expensive and crowded so it was no surprise to me that NY was pretty much either all booked up or wanting to charge excessively on Airbnb. After asking around, I learned about The Listings Project which is essentially a curated and vetted through Craigslist for rentals and sublets. I found my initial sublet this way in Greenpoint which was super helpful to get me started. I also ended up using tried and true Craigslist at the end to find my current Greenpoint apartment as well which is a beautiful luxury apartment near the East River and has a washer/dryer, private balcony, and shared rooftop access. There were a few days in between where we needed to find housing for just a few days and in those crunch times, Hotwire became really helpful as they offer last minute deals on nicer hotels. The Freehand Hotel was my home for a few days in Nomad which I absolutely loved. They gave us one of the suites which was more spacious and they also have The Studio which is great for working out of and hanging out as well as multiple restaurants, cafes, and a fun rooftop bar at night. Do you have any favorite NYC services? Are there any in particular that you are looking for? Feel free to leave a comment or ping me if so. I always love hearing from you guys and will continue to update this post as I learn about more resources as well.